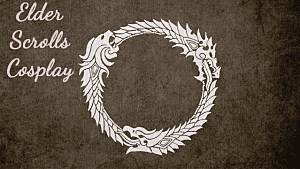 When it comes to the Elder Scrolls series of games, I may have a bit of an unhealthy obsession. This includes somewhere around the ballpark of 3000+ hours split between Morrowind, Oblivion, and Skyrim as well as closed and open beta testing for The Elder Scrolls Online. 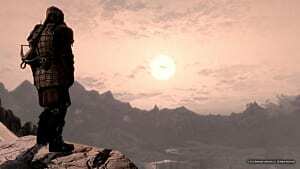 So naturally, when the rumors started going around that there was to be a remaster for an Elder Scrolls I became very excited. Was I finally going to see the sprawling city of Vivec in next-gen glory? Would I gaze upon the Red Mountain bathed in God rays? Would I once again know the seething hatred of having my romp through the countryside ruined by Cliff Racers? No. The answer is a heartbreaking no. Instead, we got a remaster of Skyrim, a game that came out only 5 years ago. 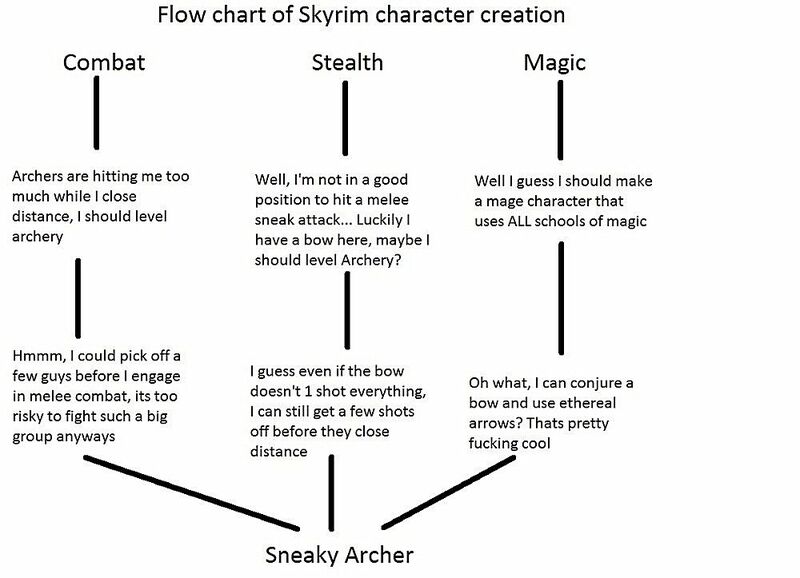 Now, don't get me wrong, I love Skyrim. It's beautiful, the story is fun and engaging, and the combat system is the best of the series to date. But it lacks the level of depth that Morrowind provides. 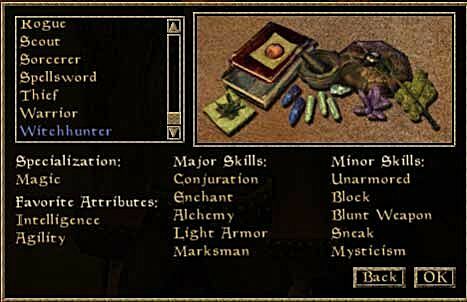 For starters, Morrowind has a more varied skills selection, allowing for roleplay-intensive character design. There are 27 different skills the player can choose from to build their class. Their class is based on 5 major and 5 minor skills -- and while you can gain proficiency in skills outside of your class, they do not count towards your character progressing in level. 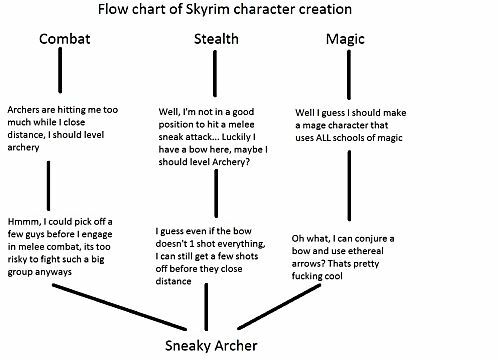 Skyrim has 18 different skills that the player can level up while they play, but there is no class system in place. If you wanted to go from a heavy armor wearing, 2-handed sword-wielding madman to playing an archer assassin, it's totally possible on the same character. 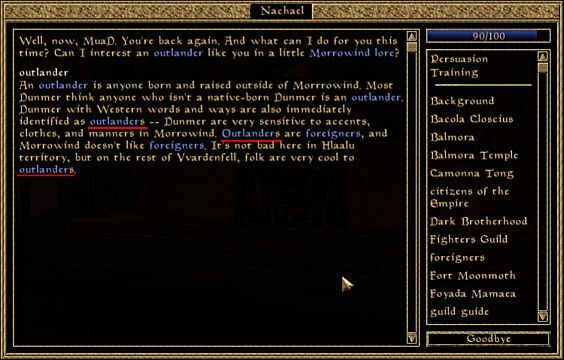 Morrowind was also superior to Skyrim when it came to the depth of the world. 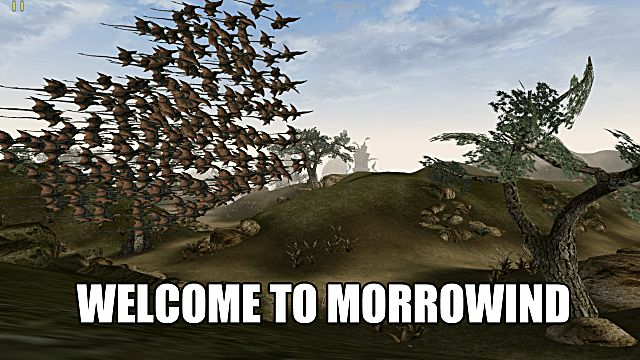 There were close to a dozen different factions to join in Morrowind, and it actually felt rewarding to get to the top of a faction. 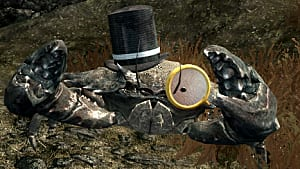 On top of that, the quests given helped you to explore the game and take in the sights, as there was no fast travel system aside from paying for a boat or silt strider. 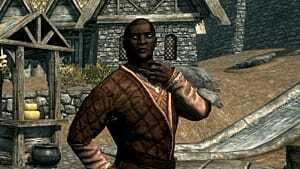 Skyrim has 4 guilds you can join, and the choice of siding with the Stormcloaks or Imperials in the base game. Additionally, in the "Dawnguard" DLC you can choose to be a vampire or vampire hunter. There are a few minor factions that can be joined, but they have close to zero impact on the player or the world. 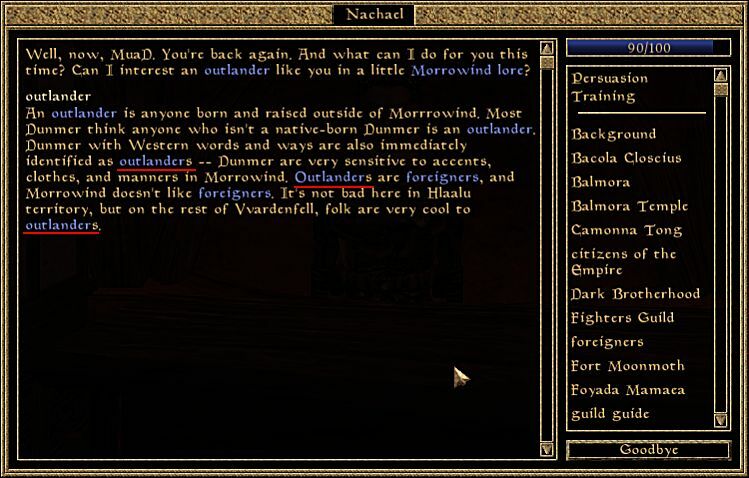 And while we're on the topic of depth, there was so much dialogue in Morrowind. Even a basic NPC had a half dozen or more dialog choices to pick from. Now that might be a stretch to do in Skyrim since the NPCs are all voiced, but generally, they have a handful of lines that make up their personality and that's about it. Last, but definitely not least, is the fact that choice mattered in Morrowind. It was 100% possible to "lose" the game. NPCs who were essential to the story could easily be killed -- and not just knocked unconscious like they are now. You could make a wrong choice with consequences that could only be undone by loading a save. There were no failsafes to protect you or your character. If you screwed something up in an irrevocable way, you were given the choice to reload at a save point, or simply "continue on in the doomed world you created". And the latter was a totally viable option. So why was Skyrim picked over Morrowind? Well, the answer is pretty simple -- time and money. For those of you who aren't familiar with the technical side of games, they take a long time to make. This is even more true for the big budget AAA titles. Bethesda's most recent release, Fallout 4, was released on an upgraded version of the game engine Skyrim was built on. From the time and money standpoint, this is the most logical remaster for them to do, as there is little work that has to be done in order to port the game to the new engine since it's so similar. This would not be the case for Morrowind or even Oblivion, as they were built on the Gamebryo engine. On top of that, Skyrim has been the best-selling game in the Elder Scrolls franchise, topping over 23 million copies sold worldwide. 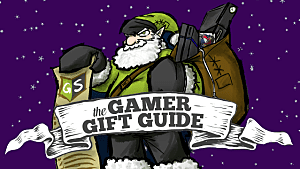 While it's not the game that older Elder Scrolls fans may want, it the one they got. 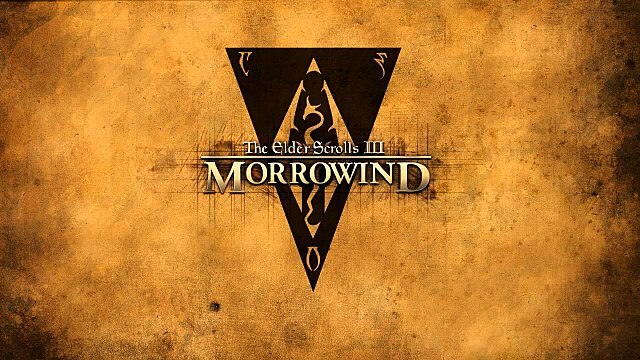 Would it be great to have a Morrowind remake? Yes, it would. 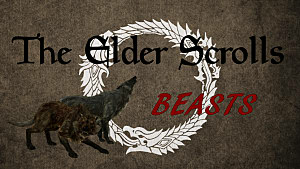 Is it likely that Bethesda is going to make it for us? No, not very likely. 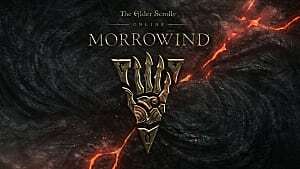 But there is still hope that the amazing team over at TESRenewal will be able to bring us a Morrowind in a more up-to-date format. 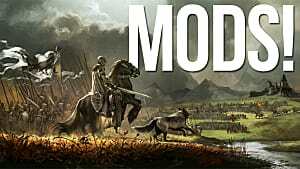 Why Do Modders Love RPGs?